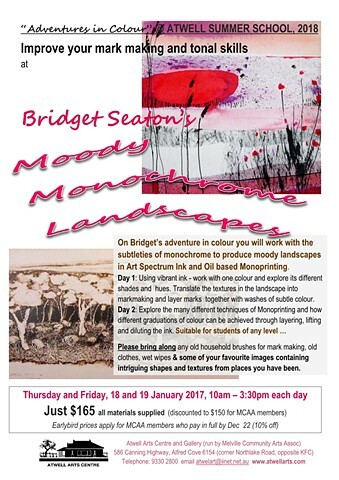 Monoprinting with oil based printing inks and painting with Art Spectrum Ink are my two favourite ways of working to represent the landscape. Join me for two days of markmaking and experimentation. Discover how versatile these mediums are and how they can be combined together for different and sometimes surprising effects. We will be limiting our colour palette to monochrome to create moody atmospheric landscapes.